German industrial and technology group Thyssenkrupp could be moving closer toward breaking up after its CEO and chairman both resigned in opposition to the proposed splitting up of the sprawling conglomerate. Chairman Ulrich Lehner and CEO Heinrich Hiesinger both resigned under fire from activist investors pressing for a faster turnaround. Their departure could help shareholders who want to streamline the $16 billion conglomerate that makes goods such as steel, steering units and axles used in vehicle production. Investors and analysts are urging Thyssenkrupp to consider selling off its material-trading unit or spin off a highly profitable elevator division, arguing that radical changes are needed to lift a stagnant share price. Thyssenkrupp must be "nimble" and "free from excessive costs and bureaucracy" to succeed, Cevian Capital, the second-biggest shareholder, said in a statement on Tuesday. 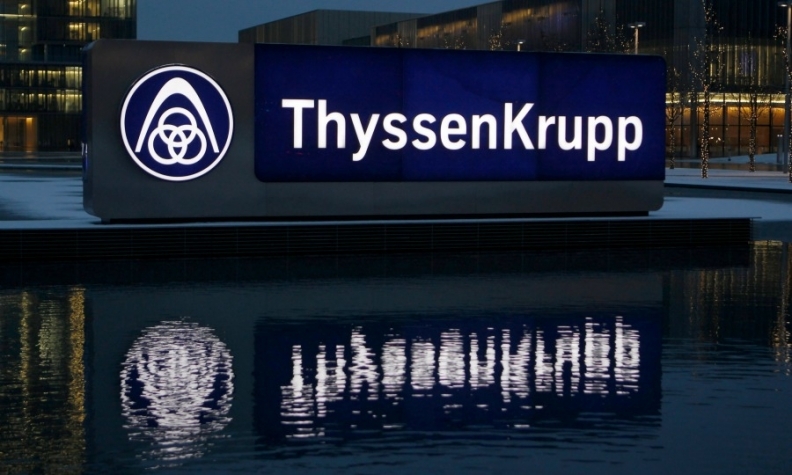 Any major changes at Thyssenkrupp will likely need to win approval from its powerful labor unions, which control half the seats on the supervisory board, and its largest shareholder, the Alfried Krupp von Bohlen and Halback Foundation. Both have previously argued for keeping the company together. Lehner and Hiesinger had long resisted calls for a breakup, saying collaboration across the company helped foster innovation. The appointment of the next CEO or chairman could signal which direction the company is headed. "Lehner had been one of the most vocal naysayers around a potential breakup, thus, if anything, this is likely to reinvigorate, rather than dampen, hopes that this will now be the course for Thyssenkrupp," wrote Bruna Haq, an analyst at JPMorgan Chase. Thyssenkrupp has long been synonymous with Germany's engineering and technological might. The company traces its origins to the steel dynasties of the Thyssen and Krupp families. Its history is closely intertwined with Germany, from arms production during World War II to its revival under the leadership of industrialist Berthold Beitz. Kepler Cheuvreux analyst Rochus Brauneiser said it was too early to tell what the impact of Lehner's resignation would be, adding the key was in the hands of the foundation. In a statement on Tuesday, Ursula Gather, head of the foundation, gave few clues about her plans. She emphasized keeping Thyssenkrupp as intact as possible, but also mentioned the importance of maintaining long-term stability. Other analysts speculated the leadership turmoil increases the odds of a radical overhaul. "In my view, it makes a breakup more likely. Lehner had been very vocal in his opposition to major divestments," said Ingo Schachel, an analyst at Commerzbank in Frankfurt. Lehner stepped down as chairman on Monday, saying he had lost the confidence of major shareholders and the board. Last week, Lehner gave an interview to Germany's Die Zeit newspaper in which he blasted investor attempts to "destabilize" the company with methods that resemble "psychological terror." At a recent meeting to discuss the deal with Tata Steel, Lehner clashed with Gather, head of the foundation, because she suggested the company mull other options and reconsider the terms of the steel joint venture, according to people familiar with the matter. Hiesinger unexpectedly quit on July 5. Thyssenkrupp has named Guido Kerkhoff as interim CEO while it searches for a new leader. Thyssenkrupp, which supplies parts such as high-strength lightweight steels, undercarriage components, axles and drivetrain components, is No. 19 on the Automotive News list of the top 100 global OEM parts suppliers.